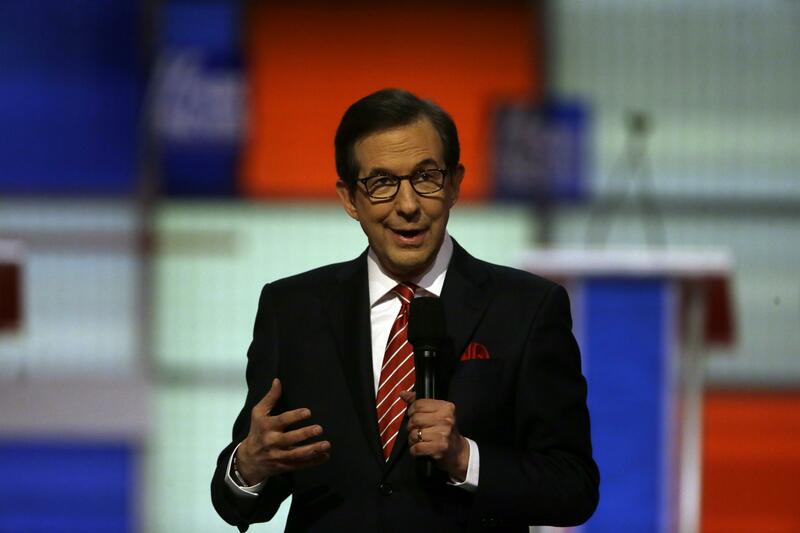 Wed., Oct. 19, 2016, 10:02 a.m.
Chris Wallace was a steady presence on debate night during the Republican presidential primary, helping to moderate three events broadcast on Fox News Channel. His style in those debates offers some clues about what to expect in the last general-election showdown Wednesday night in Las Vegas, when he will run the point alone. Here are five things to know about Wallace ahead of the final clash between Hillary Clinton and Donald Trump. Breaking into the moderator ranks isn’t easy. For a while, it seemed like the Commission on Presidential Debates always picked Jim Lehrer or Bob Schieffer. But Lehrer and Schieffer are retired, and Fox News – now 20 years old – now has the first general-election debate moderator in its history. After complaining about NBC’s Lester Holt and CNN’s Anderson Cooper before each of the last two debates, Trump has not griped about the selection of Wallace. From the left, however, some Clinton allies are unhappy that the inclusion of any journalist from Fox News. Media Matters founder David Brock wrote a letter to the debate commission in September, requesting Wallace’s removal. The commission rejected Brock’s request immediately. Moderators always attract scrutiny. In this election, most of the objections have come from Trump’s side, but that could change in the final debate. Put down the pitchforks, Democrats. Wallace is actually on your team. Well, kind of. Wallace explained to The Washington Post in 2006 that his party affiliation is purely pragmatic and based on his desire to participate in local elections. Democrats often steer clear of Fox News, and that has certainly been true of Obama and Clinton. But each has been willing to sit down with Wallace on “Fox News Sunday” recently. The questions in both interviews were tough. Wallace grilled Clinton on some of the subjects that conservatives believe she skates, including gun control, her response to the 2012 terrorist attack in Benghazi, Libya, and her use of a private email server as secretary of state. The Commission on Presidential Debates did not elaborate on the reasons behind its moderator selections, but it’s a good bet that the Obama and Clinton interviews helped Wallace’s case. They showed he is seen by Democrats as fair and by Republicans as willing to ask questions conservatives care about. Wallace arrived at a Republican primary debate in March armed with full-screen graphics created to debunk some of Trump’s false claims. He later said that he had tried to anticipate some of the things Trump would say. While Trump has not complained about the debate commission’s selection of Wallace, the two do have a history of debate-night run-ins. Don’t expect a repeat of the Chris Wallace slide show on Wednesday. “I don’t think it’s a good idea to get the moderator into essentially serving as the Encyclopedia Britannica,” debate commission executive director Janet Brown told CNN last month. The commission clearly wants general-election moderators to avoid confrontations with the candidates, and Lehrer and Schieffer have both said their advice is to leave most of the fact-checking duties to the nominees. Wallace appears to be on board with a more hands-off approach. “I do not believe it is my job to be a truth squad,” he told Fox News colleague Howard Kurtz in September. More recently, Wallace left the door open to some fact-checking when he spoke to Brit Hume but reiterated that his goal will be to let the candidates go at it. Published: Oct. 19, 2016, 10:02 a.m.